Can your watch survive 6 months in salt water? 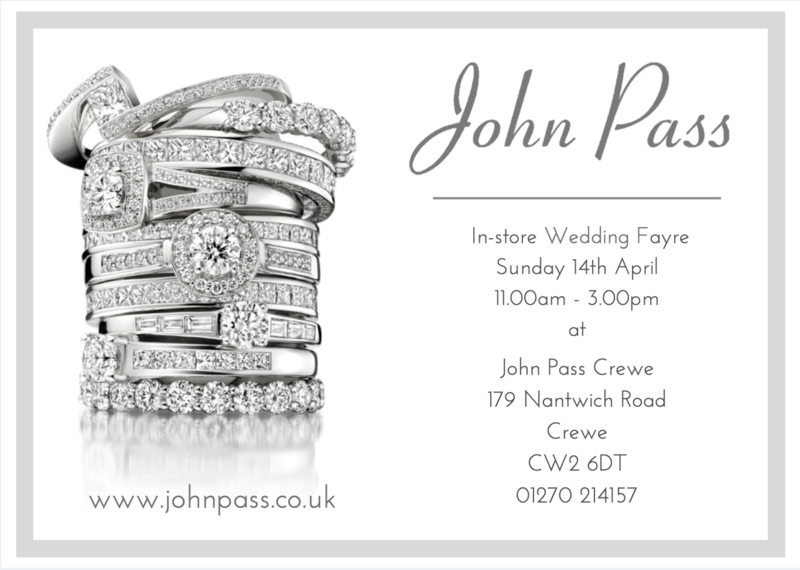 Here at John Pass Crewe are gearing up to host our first Wedding event on Sunday 14th April 2019 from 11:00am until 3:00pm. We will be offering free wedding ring consultations and have local wedding suppliers such as formal hire, photography, floral designers, bridal wear boutique and bespoke cake designers all in one place! If you would like more information either pop into store, call us on 01270 214157 or email our team on sales@johnpass.co.uk. We look forward to seeing you there and helping plan your big day! 1. How did you go from Animal to Elliot Brown watches? Ian sold Animal in ‘99, whilst I stayed on there for another 14 years, but we always kept in touch and kept coming back to that ‘what-if’ question: what if we took that unique experience and started afresh with no constraints, and that question ultimately proved to be the trigger for starting Elliot Brown. 2. What was the inspiration for starting Elliot Brown? Finding the answer to the question of what we could do if we started with a blank sheet and set out to make watches that we looked forward to wearing, that were smart enough to wear all week but so well made that they could shrug off the weekend’s extreme hobbies. We’re delighted with the answer so far, and we’ll never stop learning and refining what we make. 3. Who are your target market? or does it vary by watch? It varies, depending on where people find us and what they’re looking for. Watch collectors appreciate the technical side of what we do whereas others discover the brand through our extensive event and athlete support program where we’re involved in a sport or activity. It’s more about a watch fitting in with someone’s lifestyle. Some people appreciate our taste in design and attention to detail; some really ‘get’ the idea of having one watch that can do everything; some are avid collectors, some have old Animal watches and are delighted to find we’re making ‘proper’ watches again. 40,000 nautical miles on board a Clipper Race yacht from EBwatches on Vimeo. 4. You recently mounted a watch to a Clipper Round the World Race Yacht and it survived the extreme 41,000nm round the world voyage. What inspired the Clipper Race watch test? Curiosity. We wanted to prove to ourselves that our watches were as durable as our extensive lab testing suggests but in a real world environment as harsh as any we could think of. Could one of our standard watches survive such an ordeal and if it did wouldn’t that be a story! We’re not aware of another test that even comes close in terms of physical endurance for a watch. A few facts about the voyage: 11 months at sea, 41,000 nautical miles, highest wind speed 86mph, fastest boat speed 30.7 knots, temperature range +36 to -2, highest wave 90 feet, 5 oceans, 6 continents. More people have climbed Everest than have circumnavigated the globe. 5. How did it endure its time mounted to the mast of a Clipper Race yacht? Incredibly well. Despite being left to the mercy of the elements night and day for 11 months (plus a month on the boat prior to race start), it was still working perfectly when it returned, with only some minor discolouration from a reaction with the mounting plate and aluminium mast to show for its punishment. We even mounted it using our standard stainless strap pins rather than adding any kind of protection. 6. How long does it take from the design stages for your watches to hit the website or stores? 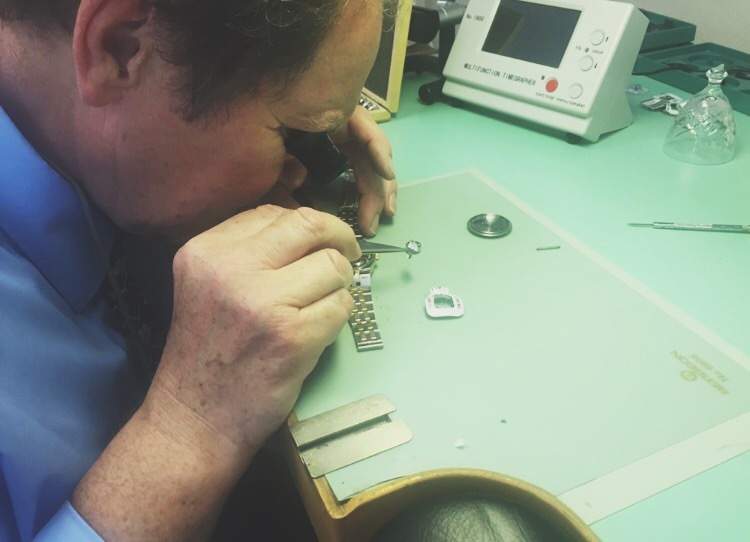 For a new watch, it depends on the type of manufacturing challenges we face along the way. We use almost no off-the-shelf components and are always looking to innovate where we can, so we have to design, re-design, and revise throughout the process, but typically it’s around 14-18 months. The Clipper Race watch was conceived, designed and made in time for skippers to wear them round the world in just one month. Having this kind of agility is rare in the watch industry but the late nights involved mean we won’t be clamouring to repeat that exercise in a hurry! For existing models, we are always looking to improve what we make, so if there’s an opportunity to improve something, we’ll do it as soon as we can. 7. ‘Not revolution, just evolution’ is part of your philosophy, how do you feel watches have evolved in the last ten years? The financial crisis has changed people’s behaviour significantly. Increasingly people are actively looking for quality and longevity, rather than snapping up shiny trinkets that don’t last. They do their research and buy something designed to last, rather than buying something for the short term. The growth of smaller businesses and the growing interest in ‘artisan’ products is also creating opportunities for smaller brands with great heritage that appeal to customers actively looking for non-mainstream brands. I think a lot of people are frustrated with the impersonal service they get from big businesses, and are looking for a more personal experience such as the customising we’re able to bring to our customers. 8. Is there a particular place or item that you draw inspiration for the watches? It’s our coastal lifestyle. We don’t focus-group or conduct market research for new watches; instead we trust our own instinct. Every watch we design is driven by our taste but is always inspired by where we live, work and play and how it needs to perform. There’s a huge community of designers and creatives in Dorset; there are beautiful areas of countryside to walk, ride, and explore, and the sea to surf, sail, and play on, so our watches need to pass muster with the designers and creatives as well as the outdoor and sports enthusiasts. 9. What’s next for Elliot Brown Watches? Following the success of the Bloxworth and Canford is no easy task. Rather like a musician with a second album but we’re quietly confident that the Tyneham automatic arriving this winter might just reach number one in the Elliot Brown hit parade. It’s a beautifully wearable expression of everything we’ve learnt, full of subtle innovations that might not be immediately obvious but as they become apparent, they create a sense of reassurance in wearing a watch of such competence. We also have some very exciting commissions underway that should add a few more feathers to the Elliot Brown cap and we have several new collections already in prototyping for next year. We can't wait to continue following the Elliot Brown journey here at John Pass, and we hope you will join us. We stock a huge range of Elliot Brown timepieces, that can be purchased directly from our website. The iconic Bloxworth & Canford styles come in a range of colours and metals. We were lucky enough to chat with Chlobo's founder, Chloe Moss, and gain some BTS knowledge of the brand and how it came to be the success it is today. 1. Where did you draw your inspiration from when starting up ChloBo? I set off travelling when I was 21, and went all round the world.My last destination was Bali, and I was meant to stay 10 days, but ended up there for 2 months – the people and culture were inspiring and this is where the story of ChloBo began. 2. Some of the pieces have a bohemian twist, was this inspired by your travels? All of the jewellery has been inspired by travels and journeys I have been on – each of the seasonal collections have been inspired by one of my adventures and the charms and colours used in each collection reflects this. 3. Who is your target customer for the products or is it dependent on collection? I find that there is a ChloBo piece for every girl out there, regardless of age. ChloBo is more about style than age and personality plays a big part in choose a piece of ChloBo as each charm has a meaning. 4. What is your favourite piece (past or present)? 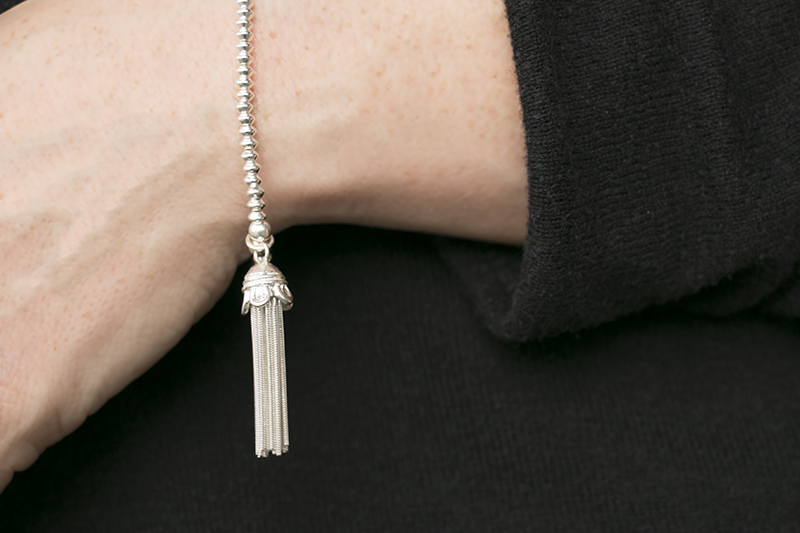 My favourite piece has got to be the iconic tassel – it’s a must have for any stack. We’ve also recently brought back the dainty mini disc tassel which looks great mixed with cuties. 5. Stacking jewellery and layering pieces seems to be styling advice that the brand carries with it, is there a combination you like to mix together most? At the moment I’m all about mixing my metals – especially Rose Gold and Silver, they really complement each other, but my look changes day to day depending on how I am feeling. If I am feeling stressed I might stack up my Labradorite bracelets as they have calming and healing powers. 6. What can we expect from future collections? My upcoming AW16 collection Gypsy Dreamer is one of my favourite so far. For me, the Gypsy dreamer woman is the mysterious woman in us all. Her style is darker with a rock and roll twist. This is reflected in the collection as the black sparkle bead is used. There are also statement pieces in this collection as a set which we haven’t done before. The designs are so unique and I’m so excited for it to be released 23rd September. 7. Where is your favourite place in the world? 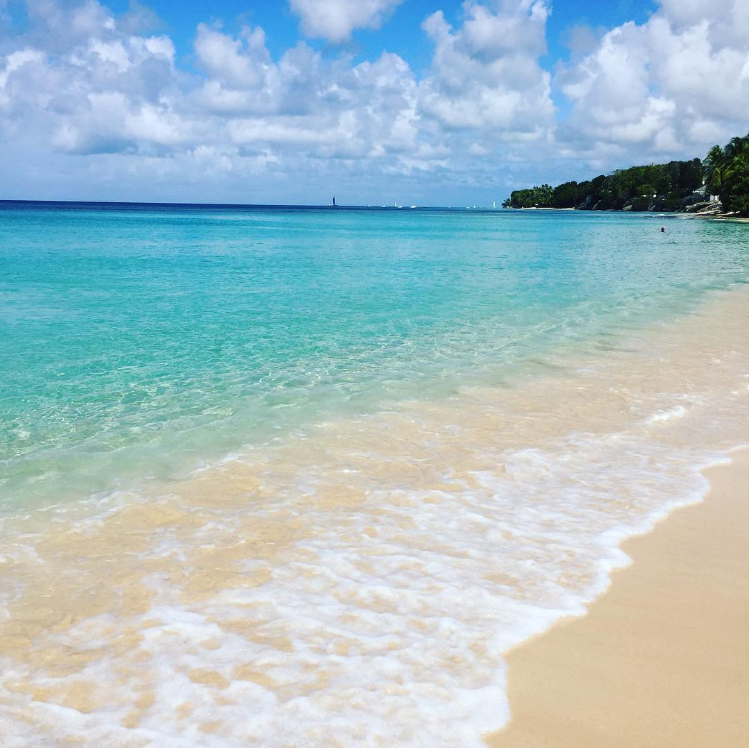 Although I love Bali, Barbados is a second home to me, as my mum is from there. 8. What country that you haven’t yet visited is on your bucket list? I am very free spirited and travel is about the journey more so than the destination and any adventure is what you make it not where you go. Who knows where I will head off to next! 9. Are you enjoying life in West London? I have always loved the culture of London and living in Notting Hill is amazing and full of places to keep me inspired. 10. What do you like most about living in London? We loved chatting to Chloe and finding out what she has up her sleeve for future collections. Check out our huge range of Chlobo on our website here to pick up bohemian styles that can be worn delicately or stacked up to make a statement. Keep your eyes pealed for new launches on the site! 1. How old were you when you joined John Pass and what drew you to the role? Luck drew me to the role and everything happened very quickly. I was 16 and my father came into the business one day to have his watch repaired and asked Mr Pass senior (the founder of the company) if he took apprentices on and it all started there. I left school on the Friday and started on the Monday, and never looked back. The rest was history. 2. What has made you stay all these years? I love the job that I do and seeing people satisfied. The family unit element is extremely unique. Working alongside Stephen Latham in the workshop when I started was constantly exciting and I echo Stephen’s ‘I’d have worked here for nothing’. 3. What is your favourite thing about the job? The variety. No one day is ever the same. 4. What has been your funniest day at work? I once bought a Labrador puppy and brought it into work late one evening before we closed – my wife bought him in. The next morning I bought a plastic dog poo into work and placed it on the floor by one of the counters. John Pass went crazy and requested it was cleared up. He then proceeded to move the shop around to cover it until it was moved. He carried it in with a spade out to the yard and began to realise the funny side of things. There were many days like this. 5.Do you have a favourite piece that you have worked on during your time here? No not really – there is such a large volume of pieces passing through my hands every day and they often have an interesting story attached to them. 6. If you were working elsewhere, where would it be? 7. Who would play you in a film of your life? 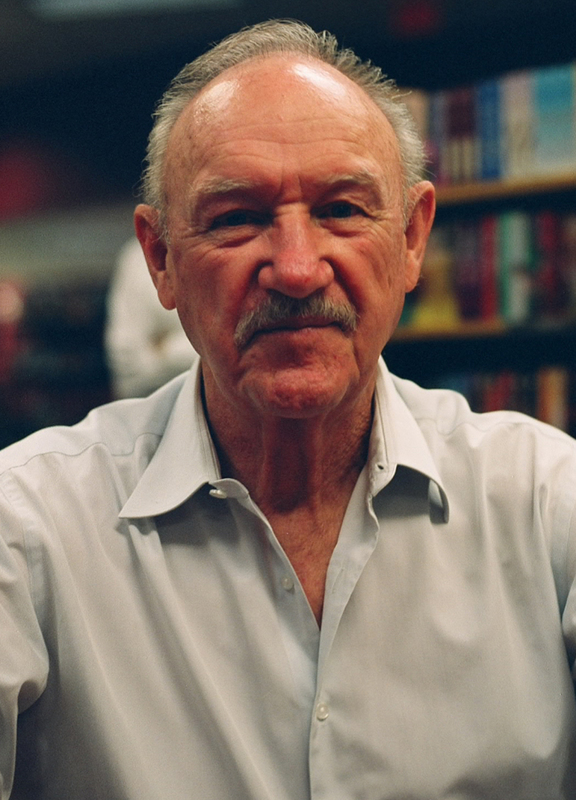 The American actor and novelist Gene Hackman. 8. 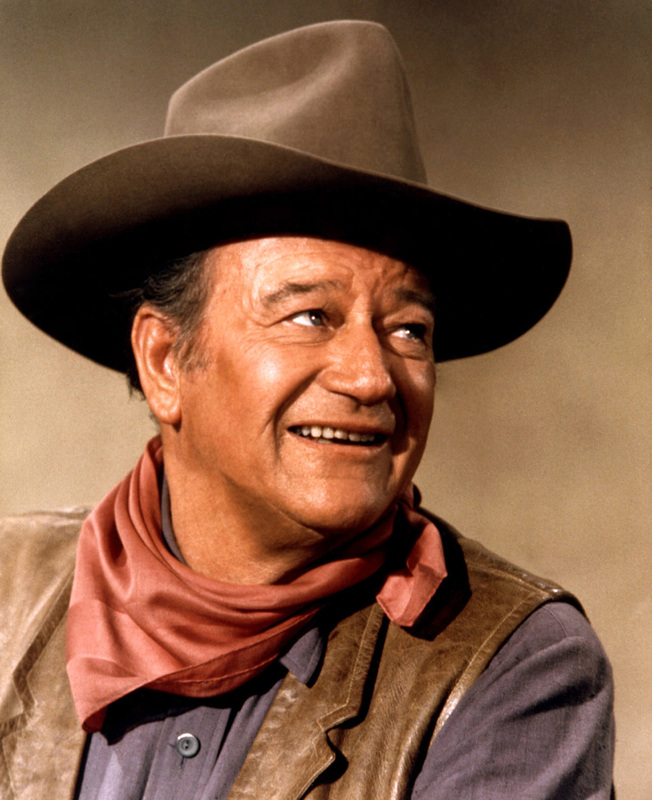 If you could invite one celebrity, dead or alive, to dinner, who would it be? The Rolex Mentor and Protégé Arts Initiative brings artistic masters from seven disciplines together with highly promising young artists for a year of creative collaboration in a one-to-one mentoring relationship. Rolex pairs mentors and protégés in the fields of architecture, dance, film, literature, music, theatre and visual arts in a unique creative exchange that is in keeping with its tradition of supporting individual excellence. Date added: 28/07/2015 Can your watch survive 6 months in salt water?